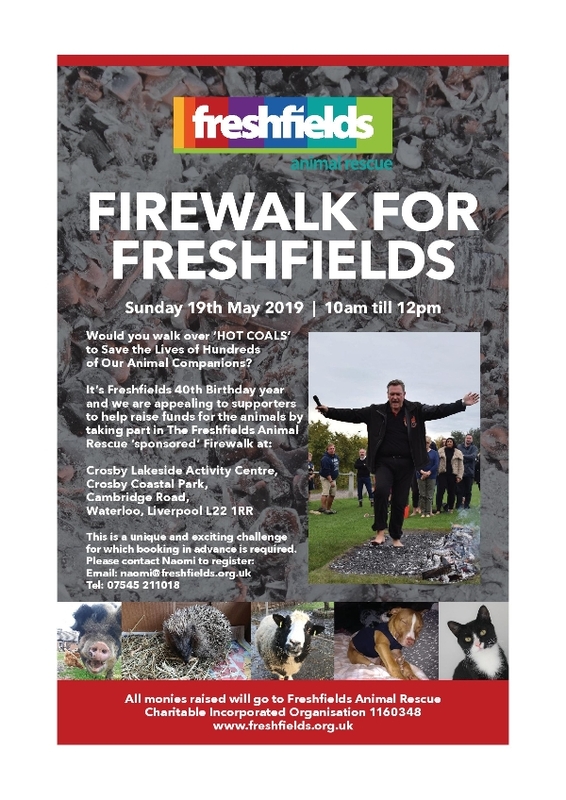 We're looking for fearless firewalkers to sign up to this exciting challenge and raise funds for the animals at Freshfields Animal Rescue. Step out of your comfort zone and onto the firewalk. It'll be an unforgettable experience and you'll inspire yourself and others too. We'd love to have a big crowd of firewalkers and supporters to make it a special day. Bring your family and friends; the venue is absolutely beautiful and there's lots to do once you've done your firewalk. 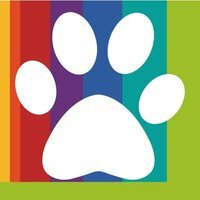 Venue: Crosby Lakeside Adventure Centre, Cambridge Road, Waterloo, Liverpool L22 1RR. To register, please contact Naomi Clarke at naomi@freshfields.org.uk or call 07545 211018.